ONCE the toys of rich yuppies, mobile phones have evolved in a few short years to become tools of economic empowerment for the world’s poorest people. These phones compensate for inadequate infrastructure, such as bad roads and slow postal services, allowing information to move more freely, making markets more efficient and unleashing entrepreneurship. All this has a direct impact on economic growth: an extra ten phones per 100 people in a typical developing country boosts GDP growth by 0.8 percentage points, according to the World Bank. More than 4 billion handsets are now in use worldwide, three-quarters of them in the developing world see our special report. Even in Africa, four in ten people now have a mobile phone. With such phones now so commonplace, a new opportunity beckons: mobile money, which allows cash to travel as quickly as a text message. Across the developing world, corner shops are where people buy vouchers to top up their calling credit. Mobile-money services allow these small retailers to act rather like bank branches. They can take your cash, and (by sending a special kind of text message) credit it to your mobile-money account. You can then transfer money (again, via text message) to other registered users, who can withdraw it by visiting their own local corner shops. You can even send money to people who are not registered users; they receive a text message with a code that can be redeemed for cash. By far the most successful example of mobile money is M-PESA, launched in 2007 by Safaricom of Kenya. It now has nearly 7m users—not bad for a country of 38m people, 18.3m of whom have mobile phones. M-PESA first became popular as a way for young, male urban migrants to send money back to their families in the countryside. It is now used to pay for everything from school fees (no need to queue up at the bank every month to hand over a wad of bills) to taxis (drivers like it because they are carrying around less cash). Similar schemes are popular in the Philippines and South Africa. Extending mobile money to other poor countries, particularly in Africa and Asia, would have a huge impact. It is a faster, cheaper and safer way to transfer money than the alternatives, such as slow, costly transfers via banks and post offices, or handing an envelope of cash to a bus driver. Rather than spend a day travelling by bus to the nearest bank, recipients in rural areas can spend their time doing more productive things. The incomes of Kenyan households using M-PESA have increased by 5-30% since they started mobile banking, according to a recent study. Mobile money also provides a stepping stone to formal financial services for the billions of people who lack access to savings accounts, credit and insurance. 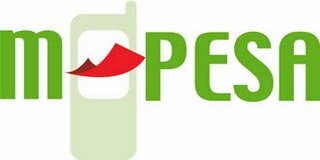 Although for regulatory reasons M-PESA accounts do not pay interest, the service is used by some people as a savings account. Having even a small cushion of savings to fall back on allows people to deal with unexpected expenses, such as medical treatment, without having to sell a cow or take a child out of school. Mobile banking is safer than storing wealth in the form of cattle (which can become diseased and die), gold (which can be stolen), in neighbourhood savings schemes (which may be fraudulent) or by stuffing banknotes into a mattress. In the Maldives many people lost their savings in the tsunami of 2004; it hopes to introduce universal mobile banking next year. Financial innovation has a bad reputation at the moment, because exotic derivatives were one of the causes of the credit crunch. But mobile money and other new ideas that could help the poor (see article) provide a useful reminder that financial innovation in itself is not always a bad thing. Given all of its benefits, why is mobile money not more widespread? Its progress has been impeded by banks, which fear that mobile operators will eat their lunch, and by regulators, who worry that mobile-money schemes will be abused by fraudsters and money-launderers. In many countries mobile money has been blocked because operators do not have banking licences and their networks of corner-shop retailers do not meet the strict criteria for formal bank branches. 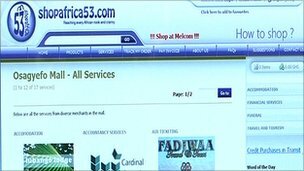 And some mobile-money schemes that have been launched, such as one in Tanzania, failed to catch on. As recently as a year ago people wondered whether M-PESA’s success was a fluke. But in recent months there have been some more hopeful signs. Kenya’s success story has demonstrated mobile money’s potential, and its benefits are starting to be more widely appreciated. More enlightened regulators are no longer insisting that these services meet the rigid rules for formal banking. Some banks, meanwhile, have come to see mobile money not as a threat but as an opportunity, and are teaming up with operators. And phone companies have studied Kenya closely to learn how to establish and market a successful mobile-money scheme. MTN, Africa’s biggest operator, has launched a mobile-money service in Uganda in conjunction with Standard Bank; it appears to be doing well. MTN is fine-tuning its service in Uganda before rolling it out across Africa. Banks and regulators elsewhere should take note. Instead of lobbying against mobile money, banks should see it as an exciting chance to exploit telecoms firms’ vast retail networks and powerful brands to reach new customers. Tie-ups between banks and operators will help reassure regulators. But they, too, need to be prepared to be more flexible. People who want to sign up for mobile-money services should not, for example, have to jump through all the hoops required to open a bank account. Concerns about money-laundering can be dealt with by imposing limits (typically $100) on the size of mobile-money transactions, and on the maximum balance. And inflexible rules governing the types of establishments where cash can be paid in and taken out ought to be relaxed. Mobile money presents a shining opportunity to start a second wave of mobile-led development across the poor world. Operators, banks and regulators should seize it. 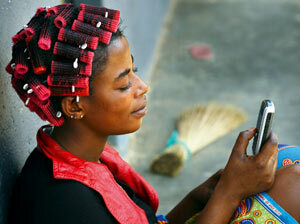 via Telecoms: The power of mobile money | The Economist. Having recently posted on mobile money and Safaricom’s M-Pesa and its current financial well-being I am convinced of the long term viability of services such as the popular and successful M-Pesa in Kenya. In my posts I have touched on the topic of regulation and the convergence of the telecommunications industry with the banking sector. So, I was very interested to find the news item below via the Wireless Federation. Unfortunately, it appears that topics such as fraud and identity theft which have become common themes in discussions of online commerce are unlikely to spare the world of mobile communications. 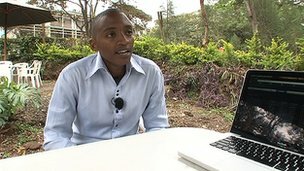 Regulators in Kenya have taken a stance and seem to have established a registration requirement for mobile subscribers. Safaricom has endorsed recent presidential directive requiring all mobile phone subscribers to be registered, a way to curb criminal activities. The firm said it would support the efforts being undertaken to improve the security of citizens. “An enabling law will certainly give us the much-needed legal muscle to extend this to our entire network. It would map out how these records are to be used and give us the legal right to ask our subscribers for their details,” said Chief Executive Officer Mr Michael Joseph. The process is expected to complete within six months with the Communication Commission of Kenya spearheading the efforts. “We need to do this as a country. Safaricom already has over half of our subscriber base registered through our M-PESA and PostPay services and the popular Bonga loyalty scheme, for which registration is a standard requirement,” added Mr Joseph. “Registration is no panacea to our crime problems and it can never be surrogate to professional police investigations. As is stands, criminals will always steal phones and even identities of innocent people, but it is a necessary first step in helping us combat the recent upsurge of mobile-phone related crime. At the end of the day, crime is a societal problem whose conquest requires the concerted efforts of all. At Safaricom, we have always played our part and that will continue,” said Mr Joseph. Continuing the theme of alternative payment systems, and particularly the recent posts and discussions of the M-Pesa success story in Kenya, here is an interview panel on the topic, provided by TelecomTV’s programme Main Agenda. The discussion took place during 16-19 Feb at the Mobile World Congress in Barcelona. The panel features Mr. Gavin Krugel, Director Mobile Money, GSMA Association who articulates the major commitment of mobile network operator groups such as Orange, MTN and Vodafone behind financial service offerings. Network operators value the added value of such services alongside their standard offerings of SMS, voice and data. He illustrates the scale of the opportunity offered to network operators in mobile money with the fact that 1 billion consumers in developing markets who do not have a bank account but do have a mobile phone. As a further illustration, a leading financial institution in India has 10 000 branches, while a leading network operator in India has 1 million distribution points. Through their network brands, innovation and secure technologies, mobile network operators are uniquely positioned to meet the opportunity and respond to the need for entry level financial services. Mr. Vitalis Olunga, Head of International Services, Safaricom presents the opportunity of extending the M-Pesa mobile money concept of Safaricom, Kenya to include cross-border roaming services. He addresses the issue of regulation which came up in my posts from last week. Mr. Olunga tells how when M-Pesa was started in Kenya there was no regulation and the policy was developing post-factum. He sees a considerable challenge for the regulators in distinguishing between telecommunication and financial services. Additionally, mobile money increases the levels of competition in two highly regulated sectors in developing countries: the telecommunications and the financial sectors. Mr. Hans Paulsen, CCO, Uganda Telecom shares his views regarding mobile financial services. He presents the opportnity present in Uganda to increase the current number of bank customers from 200 000 to 8 000 000 mobile phone users. The main application area Mr. Paulsen considers is that of remittences between urban and rural areas. With regards to regulation he stresses that success stories such as M-Pesa raise questions for telecom regulators and the banking sector regulators. Mr. Patrick Kariningufu, Rwandatel emphasises that M-Pesa “was a great idea 4 years ago” and currently Rwandatel are looking for ways to enable people in the diaspora to transfer payments to African countries. Mr. Luckas Scoczkowski, CEO, Redknee presents their portfolio including re-sell airtime, emergency airtime, international remittances, and crossborder money transfers. Mobile Money by M-Pesa: a need or a luxury? In a recent post I noted the news about Safaricom’s profitability in the last year and exchanged some thoughts about the services, fair pricing and values provided by African mobile operators with Steve Song. Eariler this week I came across the Round. The world. Connected. project of the Nokia Siemens Networks. In its Episode 2 finds Adrian Simpson visits Ethiopia and Kenya. Among the bonus features are an interview with Mr. Michael Joseph, CEO of Safaricom, interviews with users and providers of the M-Pesa service. Mr. Michael Joseph introduces the needs and benefits of the M-Pesa service, emphasizing its value outside the main urban areas where banking infrastructure is rarely available. He recounts the origins of the M-Pesa service in 2006 within a microfinancing project and explains its current popularity. By saving users the hazards of carrying and transacting in cash M-Pesa allows its users greater degree of mobility and flexibility. Mr. Michael Joseph stresses that M-Pesa is a banking product. This complicates the service by imposing strict security requirements on the technology, five-year record keeping requirement, and customer rules. Mr. Michael Joseph emphasises the importance of the distribution and support network for the M-Pesa service. He acknowledges that Safaricom’s ARPU is decreasing and explains Safaricom’s strategy to “lock-in” customers through the provision of a mobile banking service which can be perceived as a daily necessity. Furthermore, Safaricom counts 7500 franchises of M-Pesa stores where users of the service can receive personalised support and loyalty to Safaricom can develop as a result of the social capital exchanged in between the users and the representatives of the distribution network. Adrian Simpson gives faces to the M-Pesa distribution/ support network by interviewing an M-Pesa store owners. In the video “The benefits of M-Pesa and mobile banking in Africa” Adrian Simpson shows documents used in the registration for use of the service and talks to an M-Pesa dealer who claims thousands of customers visiting his shop. The location seems fairly central and the customers appear “upmarket”. He mentions businesses and university students as his customers. In “Interview with an M Pesa store owner in Africa” Adrian Simpson talks to Joseph, an M-Pesa agent working in somewhat more moderate surroundings. He emphasises customer service, technology assistance and personal attention as important considerations for keeping his customer base. Towards the end of the interview with Mr. Michael Joseph the subject of regulation is brought up. Not surprisingly, Mr. Michael Josephs mentions that mobile operators in Africa are seen as “cash cows” and a reduced tax burden would help help their work. Still, I wonder how regulation can be used in order to provide mobile operators with the incentive to support, invest in and develop socially benefitial services. M-Pesa seems to facilitate the monetary transactions of socially excluded people and it appears to alleviate concerns related to security. As such, the service has required considerable investment in technology development and the set-up of a distribution network. With considerable set-up costs, the service has broken even only recently after subscribing 6 000 000 users in December 2008. Admittedly, Safaricom has invested in it with strategic self-interest, looking towards customer loyalty and “lock-in” opportunities. Still, I wonder how governments cound encourage mobile operators to behave in a similar way, rather than to follow more disruptive strategies. If we view mobile services like M-Pesa as social goods, rather than luxuries, how can regulation be used to have more of them? Eric Seuret from 3smobile.com introduces a pilot initiative in Kenya providing farmers with weather insurance through the immediacy of SMS.